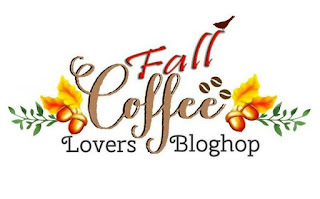 Have you played along with Coffee loving cardmakers Fall blog hop? You have enough time to join with them! Head over to the HERE and enjoy this season's crafting :) Oh but first, my card! 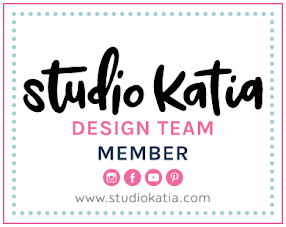 Today, I have a clean and simple shaker card to share with you. 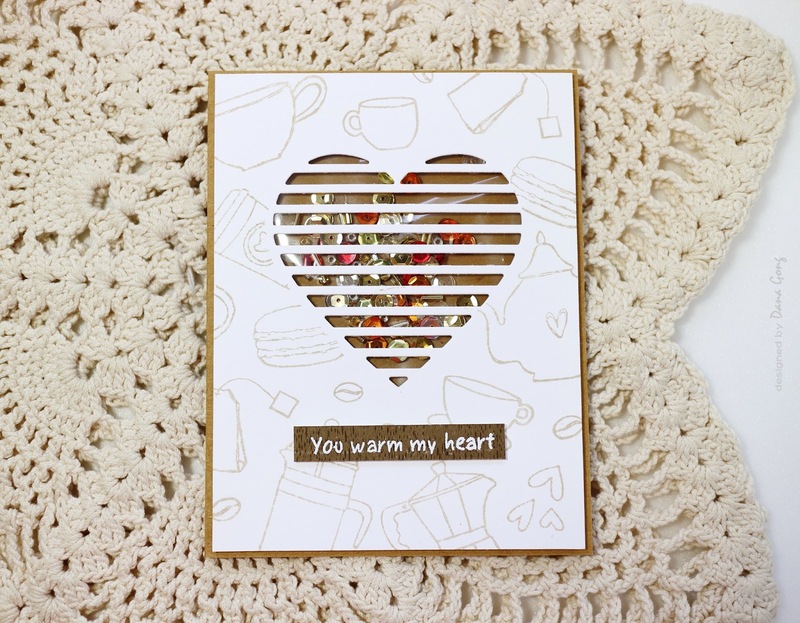 To start, I die cut heart shape from the white card stock using Concord & 9th 'Layers of love dies'. I then randomly stamped coffee and tea images from Jane's doodles 'Teariffic' and 'Coffee time' stamp set using MME 'Brown sugar'. Next, I made a shaker using acetate and fuse tool. Autumn colored sequins are from my stash and I mixed them by myself. 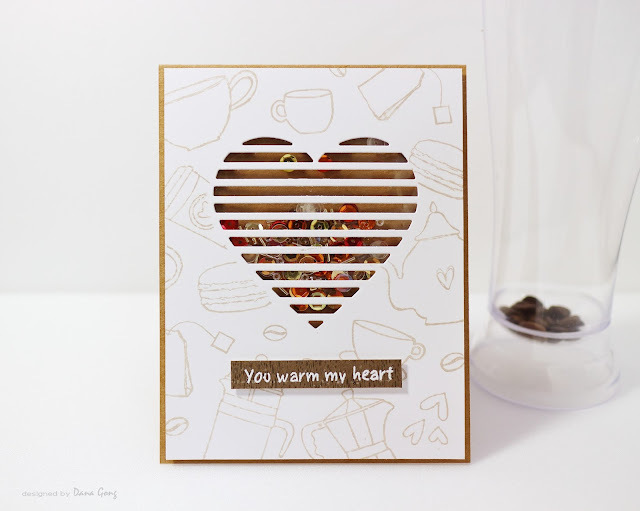 I white heat embossed the sentiment from 'Coffee time' stamp set on a piece of brown paper and I foam mounted it to the stamped white card stock. I finished this card off by mounting all pieces as shown to the kraft card base. 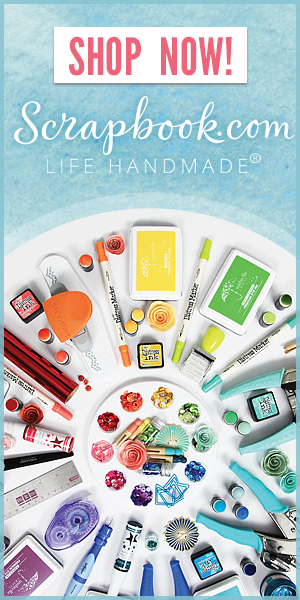 All product I used today are available at Jane's doodles and Concord&9th, CLC Fall hop's super sponsors! 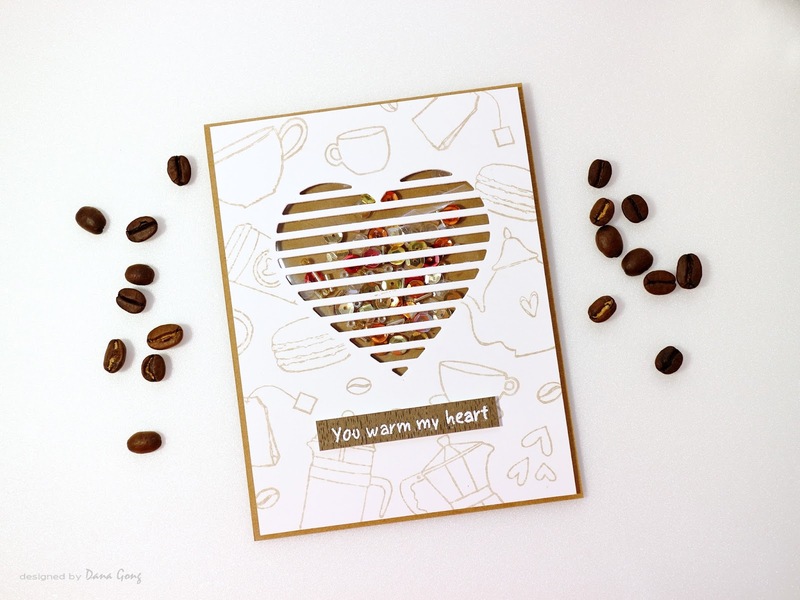 Such a lovely shaker card Dana - love the design of the heart! 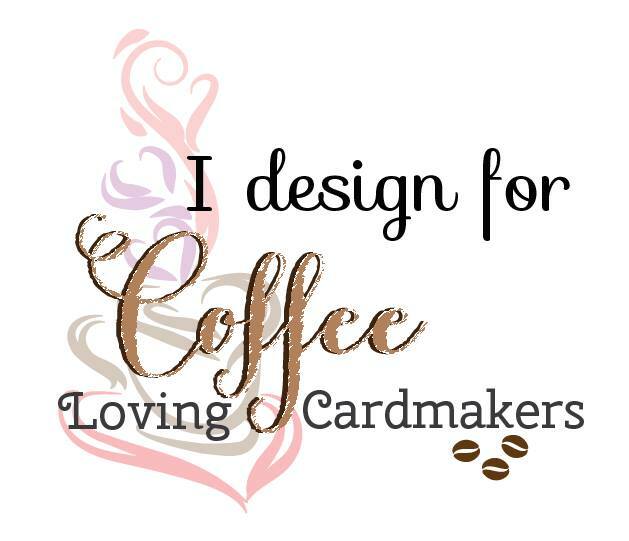 So glad you love my card, Teri! Oh, I just love shakers! This is gorgeous - love that heart! And I can see why you couldn't pick just one pic ... they're both tea-riffic! Thank you for leaving some love, Stacy! 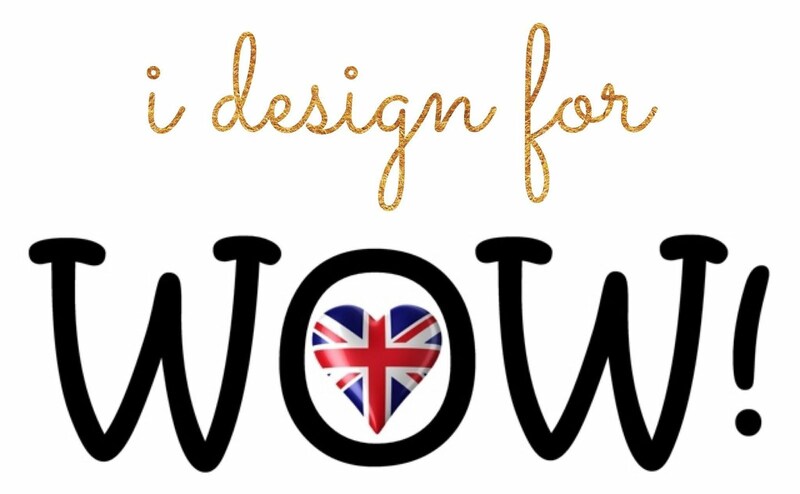 Wow, that is one cool design! So glad to hear from you, Karen! Thank you! Such a neat card! Love that shaker. Thank you for your support, Tonya! Thank you for the love, Verna! So cool! Love this shaker..
Dana, this is AWESOME. Such a fun shaker! Beautiful and unique coffee card! I love it!